I hope everyone gets to enjoy time with family and friends this holiday! 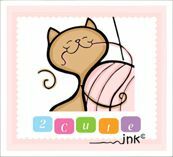 I just want to remind you today is the Last day of our Memorial Day Sale at the 2 Cute Ink Etsy Shop! Just use coupon code 2ciMDS when you spend 15.00 or more! It's a good idea! Do you need to complete your academic tasks? No doubt essayhelp24 the best way to get a great mark. I should definetly buy one for my daughter. I think u might need uk-essay-reviews.com in future for your needs. Feel free to use it any time u want.